Axis Of Oversteer: What if They Gave a Grand Prix and Nobody Showed Up? What if They Gave a Grand Prix and Nobody Showed Up? "The drivers of the Grand Prix Drivers' Association wish to express their deepest concerns about the events that took place at Silverstone. We trust that the changes made to the tyres will have the desired results and that similar problems will not occur during the German GP weekend. We are ready to drive our cars to the limit, as we always do, and as it is expected by our teams, sponsors and fans. 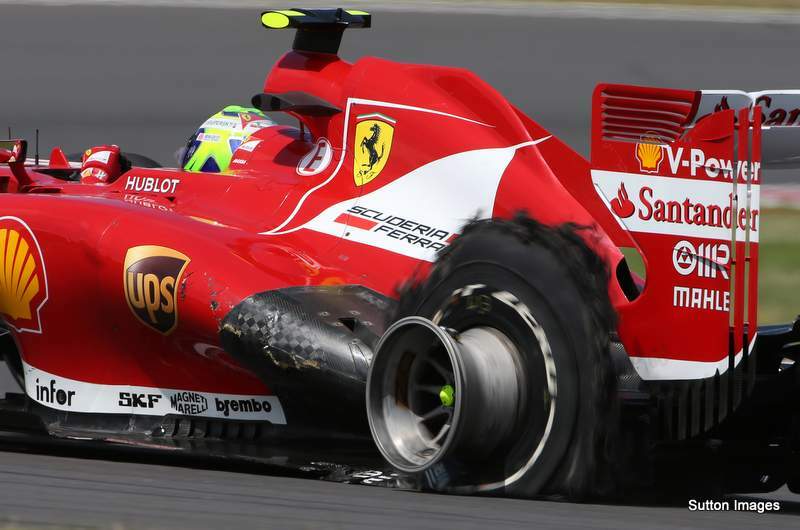 However, the drivers have decided that, if similar problems should manifest themselves during the German GP, we shall immediately withdraw from the event, as this avoidable problem with the tyres endangers again the lives of drivers, marshals and fans." You know some will race anyway. Pass the popcorn. It will be more fun watching Ferrari explaining it with Pedro de la Rosa as GPDA chairman. You are aware the GPDA is a DRIVERS association, nothing to do with teams..
My only point is that they do not drive at the limit anymore - that is what they did in Senna's and Pique's days. Now all they do is manage everything to the finish. Nobody drives at 10 10ths. They all drive at 8 tenths - managing fuel, managing tires, etc. Sorry but they just don't. I wish they did. I wish they still refueled.